A PUBLIC-private-partnership with the goal of developing a large-scale commercial agricultural venture in the Hela Province was announced yesterday by the joint venture parties. 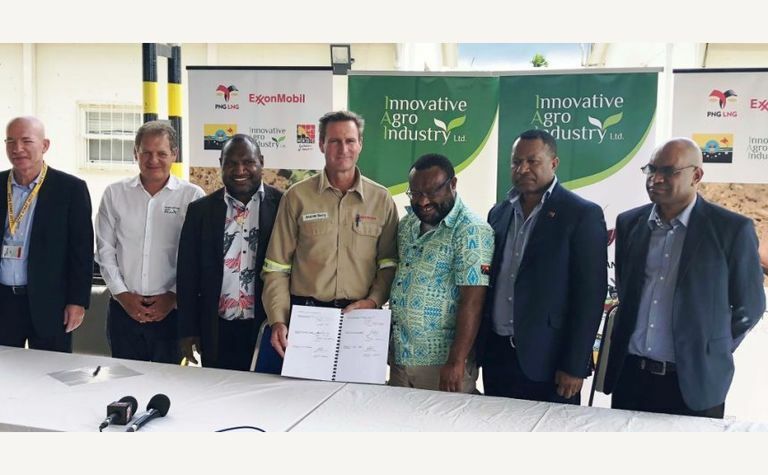 The agricultural project partners include the PNG LNG project, agribusiness firm Innovative Agro Industry, MRDC, Hela Provincial Government and Tari-Pori, Koroba-Kopiago and Komo Margarima local level governments. The proposed venture - led by Innovative Agro Industry (IAI) - will train and equip small-holder farmers to first produce stock feed and vegetables in Hela Province and, over time, endeavour to rejuvenate the local coffee industry. IAI has successfully demonstrated its ability to design and implement self-sustaining commercial agricultural ventures such as fruit and vegetable production, dairy and chicken meat production across Papua New Guinea. 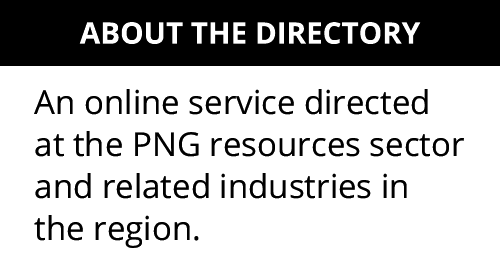 IAI chairman Ilan Weiss said creating opportunities for meaningful participation for rural Papua New Guineans was a key component of many of the projects the IAI has developed in the country. "We believe that this type of engagement is key to the success of any agriculture enterprise. Smallholder engagement strengthens communities and generates cash incomes, triggering sustainable flow on effects in terms of food security, health, education, development of locally owned small businesses, and improved basic financial literacy. It has the ability to be a catalyst for rural development." 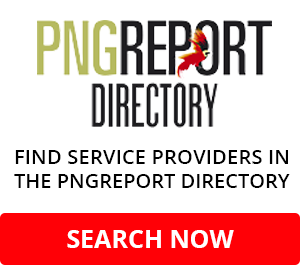 ExxonMobil PNG managing director Andrew Barry said the PNG LNG Project was committed to driving economic growth and producing significant, lasting benefits. "The agricultural project has the potential to positively impact as many as 5000 small-holder farmers in Hela Province over the next five years and beyond as well as diversifying the economic base and encouraging the development of additional small enterprises in Hela province." 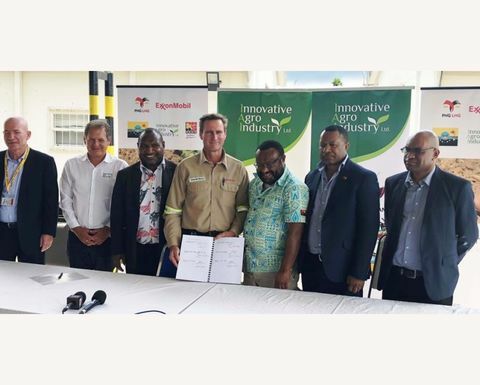 As a first step, and as a demonstration of their commitment to Hela Province and its people, the agricultural project supporters have signed a memorandum of understanding to jointly fund the detailed design phase at a cost of K10 million. Over the course of the next few months, much work will be done to determine the full feasibility of the agricultural venture. Activities to be undertaken in Phase 1 include a detailed field analysis of soil and growing conditions; detailed design of the farmer training program; establishment of a training centre and finalisation of all financing agreements and the commercial venture structure. The feasibility study will also include the potential use of Komo airfield as one of several logistics options to support the venture. If Phase 1 is successful, the venture could be launched in as early as 1Q 2019.